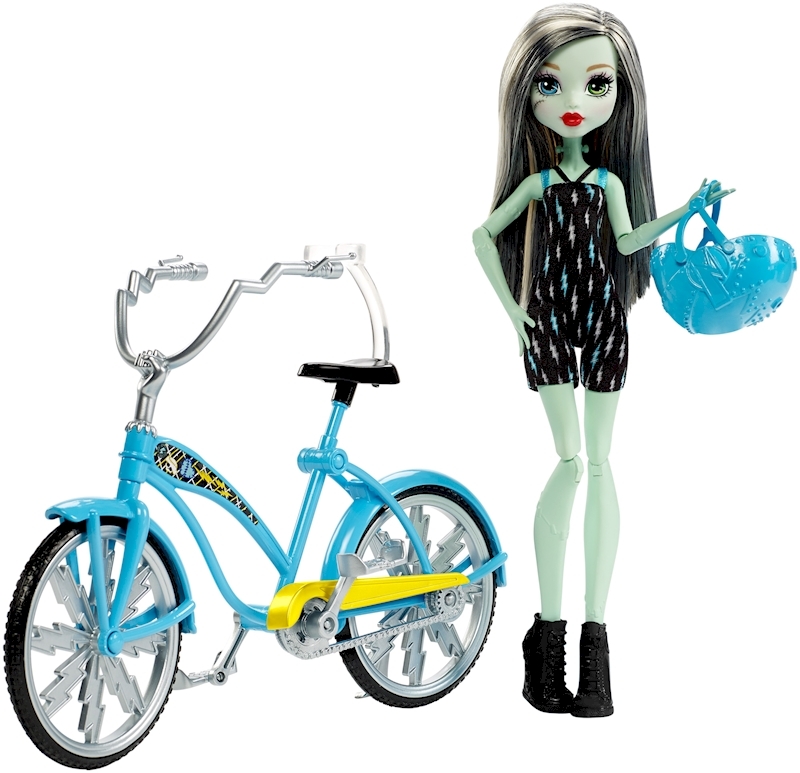 Send Frankie Stein™ doll about the Monster High™ world on this “boltin’ bicycle” designed to spark imagination! 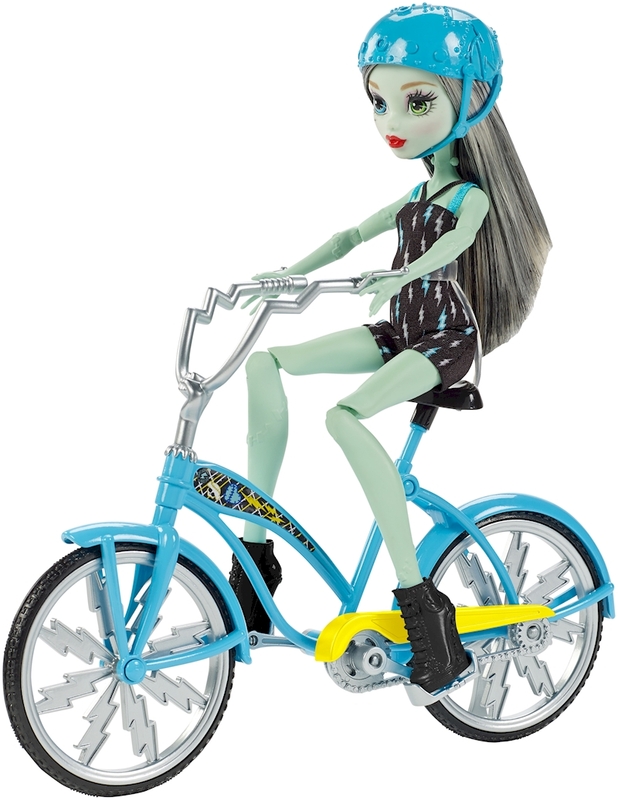 The blue bike has silver, black and yellow accents along with voltageous touches like lightning bolts on the spokes, nuts and bolts for handlebars and a web-inspired gear. Frankie Stein™ doll is electric in a graphic print dress with scary cool shoes and a matching helmet. 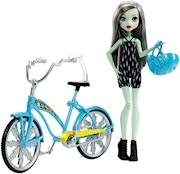 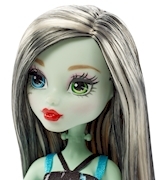 Includes Frankie Stein™ doll wearing fashion and accessories, bicycle and helmet.